After the go-ahead from CHarlie & then the weekend warning from MattHew, Bucci gave us the good news that Sludge's roster is filling up for the fall 2010 season. > Password must contain at least one lowercase character. > Password must contain at least one uppercase character. Question: Do you have to dress like that every time we play frisbee?! 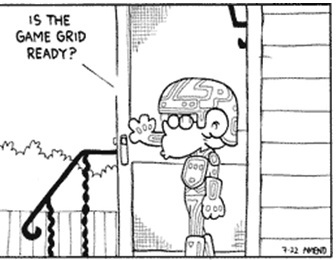 Answer with a Question: Is the Game Grid Ready? 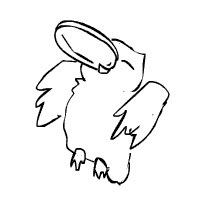 Watch the Owl play ultimate frisbee over & over & over, again. Green Disposable Plates: Though it’s generally accepted that green is of most important, we cannot break with disposable plates drastically on certain occasions. But please don’t feel depressed, for Andrea Ruggiero has brought us the green disposable plates. 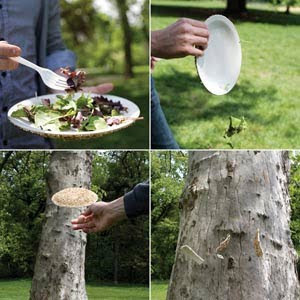 When not in use, such plates can be thrown away like Frisbees and become the food for wildlife. Russ moved to a beautiful home in northwest DC that has a backyard pool! Think of it as a housewarming party; but not really. Sludge wasn't technically invited to his home, so just warm his pool. A: Andrew was in Laos. Basics: Intaking a sludgelike concoction the Indians call "the sacred vine of the soul." The hallucinogenic potion is ayahuasca found in the Peruvian jungle. Ayahuasca may taste like ground-up earth, but many leave here praising the brew in reverential terms for having purged them of demons and shown them a clarity about life that they never thought possible. The payoff can be profound, say those who have repeatedly used ayahuasca. Some say the potion provides an almost divine, transformative experience. 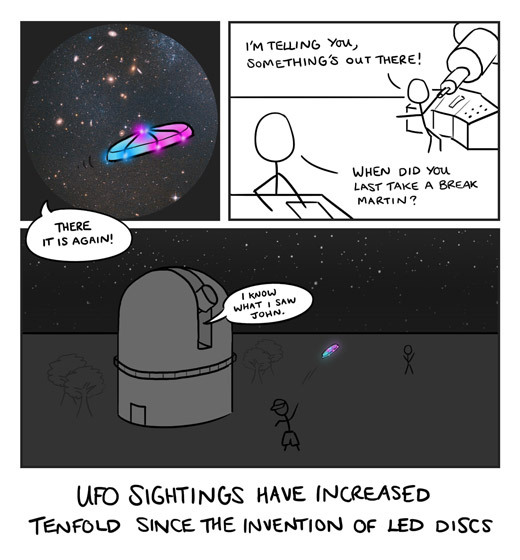 Others describe new insights into their lives. The long, exhausting ceremonies where ayahuasca is consumed often end in intense joy. Time Commitment: Much; travel to S. America + a long, exhausting ceremony. 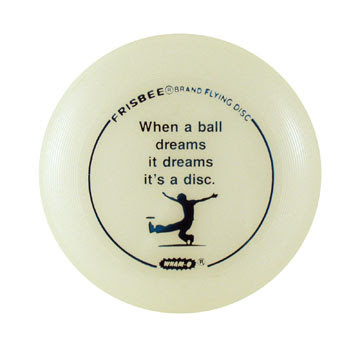 it dreams it's a disc." 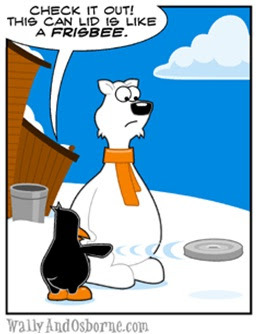 It's not news that polar bears enjoy frisbees, but who knew penguins had solid backhands? 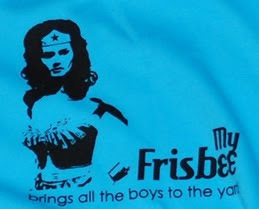 Wonder Woman loves frisbee! It's really no wonder that she is now more wonderful. Info: The Ultimate Frisbee pulling T-shirt with the aid of the wonderful Wonder Woman! 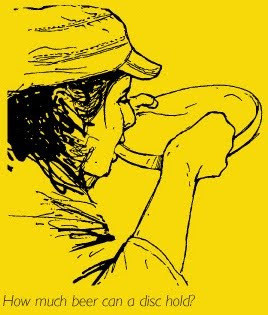 Text reads "My Frisbee brings all the boys to the yard." Option: Magnum PI version. What's happening in this "action shot"? 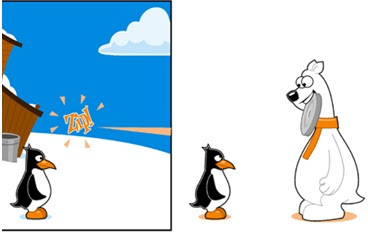 Did the foreground stick figure just release a lefty fore[no]hand /or/ is the background stick figure tearing an ACL on their righty flick? How well do you really know about your favorite piece of sports equipment -- a regulation-sized frisbee? ==> Received guesses shown in Comments. 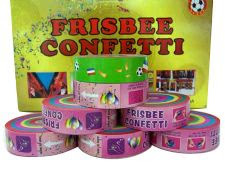 ^exact amount may vary based on disc condition (shape). Q: Where in the World is Christy? A: Christy is in New Orleans. The Empire Plastic Corporation advertises its 1958 "unbreakable" Frisbee, saying it's "the new college campus craze." Hollywood uber-producer Joel Silver (Lethal Weapon & The Matrix movies) is one of the founders of Ultimate Frisbee. 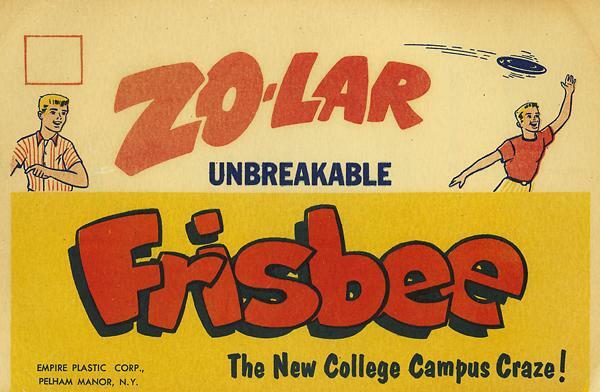 SI: Where will the sentence: "He was one the founders of ultimate frisbee" appear in your obituary? Silver: Years ago I read an obit on Donald Duncan of Duncan Yo-Yo's. At the very end of the story it said he also invented the parking meter. I thought that was interesting and as much a significant thing as his Yo-Yo. I'm a filmmaker and I'm proud of the movies I've made. But in the background of my life I was also very involved in the creation of the sport. SI: In the fall of 1968, at the end of a student council session at Columbia High School in Maplewood, New Jersey, you made an historic resolution, correct? Silver: I raised my hand and said, "I move that we form a committee to investigate the possibility of introducing Frisbee into the high school curriculum." Everybody laughed. Then somebody said, "OK, on that item, we'll vote for it." And everybody's hand went up. Out of this committee, we ended up making the rules of the game. My [late] friend Buzzy Hellring Jr. wrote the rules. My other friend, Jon Hines, who lives in Russia and works for a big law firm in Moscow, reviewed the notes. Out of that came the first set of rules. At the end of 1968, there was an ultimate game between the high school paper and the student council. That was all in 1968-69, which was my junior year of high school. During the summer of 1969 they put in a parking lot by the school which was lit at night and we ended playing on the parking lot. SI: How much of this was a revolution against the jocks? Silver: There was a polarized world in my high school. This was 1970 in South Orange, N.J., which had an upscale school. A guy in the area had written an article in the local paper that said one out of two students at Columbia High was doing drugs. It was a very controversial thing in the community. The Vietnam War was still happening and there was a lot of different groups that were thriving in the school. We just felt that the game could cross over all the groups. I didn't do drugs. A lot of my friends did. But it wasn't like a "Let's get stoned and play frisbee' thing." It was just a way all of these groups could get together and play. SI: How often does the game come up in your daily life? Silver: Whenever I would do junkets for a movie, invariably, some journalist would ask me about it because [they saw a story about it] on the Internet. That's why I eventually put in my bio. SI: You played Frisbee Football at a camp in Mount Hermon, Mass., in the summer of 1967. You were 15. Why did the game stick with you? Silver: I've thought about that frequently. 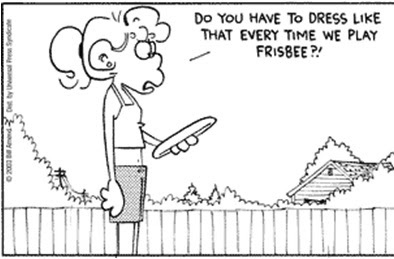 I always had the ability to throw a frisbee pretty well. I don't why. I swam a little bit in high school but I wasn't a jock. ... I never really was that passionate about playing sports. But when I was at this Mt. Herman school, I did have the ability to throw the frisbee. So when this sport evolved, it was fun because I was good at it. That's probably what got me excited. SI: There are now an estimated 100,000 frisbee players in more than 40 countries, and a book chronicling the history of the game was just released. Stunning, right? Silver: You ever see the movie Dreamer? I'm not saying I'm Dakota Fanning. I didn't know the horse would win. But I did feel that it was a cool enough thing. There was a guy, David Leiwant, who was a younger member of our team. I told him once, "See that, David, some day they'll be playing the game all over the world." He said, "Yeah, right". But I really thought it would. It was a kind of anti-establishment game and sport. When we started it at Columbia High School it was a joke. 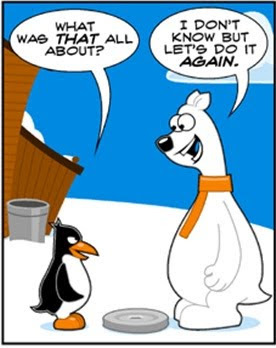 It was a very kind of Mad Magazine quality to it when it started out. We took the security guard at the school and made him our manager. I didn't take it as seriously as people take it today. People are passionate about playing it. SI: Who have you worked with that would be a good Ultimate player? Silver: I've never really thought about it like that. Think about an action movie. Most of those guys are the real deal. We were making the Matrix and Larry Wachowski always said to me, "I want Keanu Reeves, Carrie Ann Moss and Hugo Weaving all to know martial arts." I kept saying, "Larry, you want to paint your house, you don't hire an actor and make believe he's a painter. You hire a f------ painter. 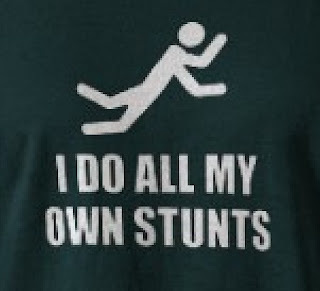 So let's get stunt guys who can do this." He said, "No, no no. People want to see these people do the stuff themselves". So they trained for five months before the first movie. Anyone of those guys would be an awesome ultimate player. They were incredibly athletic, and they were in incredibly good shape. So would Kristen Bell, who is on my show, Veronica Mars. SI: When is the last time you actually played Ultimate? Silver: Many, many years ago. But I have a 4-year-old son. 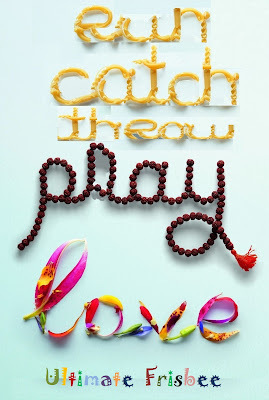 We play every now and then. He's getting better, but he's only 4. He's just starting to throw. It's one of the things we do together. But I don't play the game that much. SI: Where will Ultimate be 50 years from now? Silver: Well, I don't think you'll be watching Monday Night Frisbee. It was never in the establishment or the mainstream. But the fact that people are acknowledging it as such, well, I'm really happy people like the game and enjoy playing it. Info: This regulation weight (175gm) flying disc turns purple in sunlight. Outdoor use suggested. 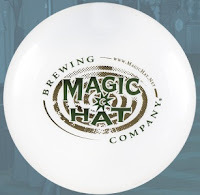 Wanna see a frisbee turn into a hat? Voila! Sludge prefers to be the only 'sludge' for OBX2011. Pardon me, were you aware you are part of a revolution? Info: Ultimate Frisbee isn't yet an American sport but still manages to say as much about America as any sport does, even baseball. 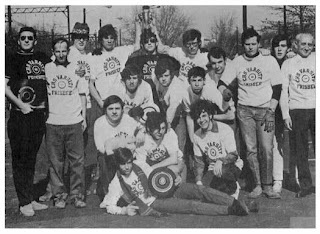 Ultimate speaks to the most radical and countercultural decade in American history; the 60s. Like the 60s, Ultimate rebels against the system, refuses to reform, and totally ignores social convention. 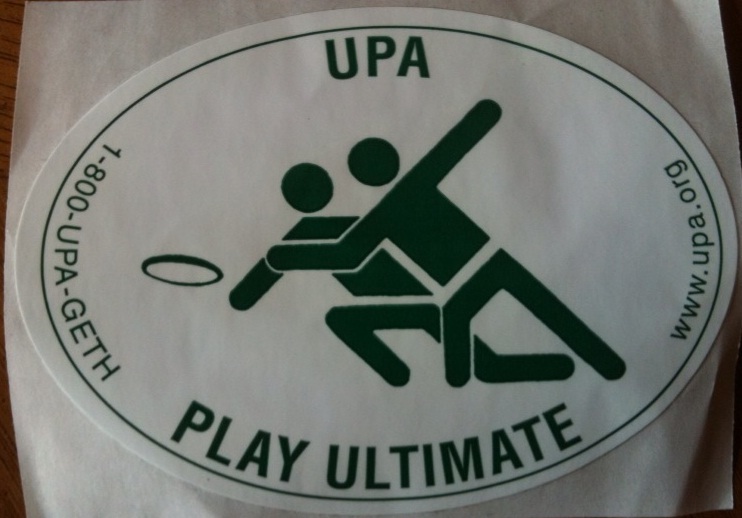 Ultimate began in the midst of the counterculture revolution and it remains the same today. 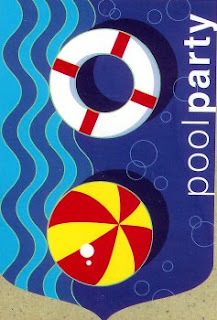 Men and women play together, players officiate for themselves, and uniforms are generally optional. 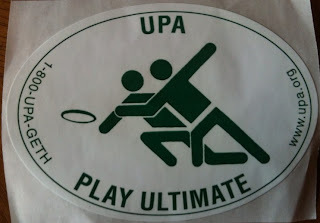 At every opportunity given Ultimate contradicts the American notion of what a sport should be. However as the 60s have come and gone, one day Ultimate as we know it will to. America is a modernist, capitalist, and most of all conformist country and Ultimate is none of those things. Ultimate has grown considerably in its short lifespan, but soon enough it will be faced with the overwhelming forces of Americanization. As Ultimate continues to gain popularity it will inevitably forgo its identity in the process. Ultimate is at a crossroads; to keep what makes it special or to act the same as everything else, to remain faithful to itself or to sell out to America. As a follow-up to the previous announcement, Doug + Kelly welcomed their first child - baby Quinn Thomas! Born July 10th @ 5:52pm. Watch the 1979 PSA if you allow your children to play frisbee near a weakly protected high voltage transformer. Posted at a a-rhythmatic special sequence... 12:34.56.7 on 8/9/10. Usually, the Northern Lights can only be seen by residents who live far to the north. But this week, the Aurora Borealis is making an appearance in lower Canada, some of the United States, Norway & other countries around the globe. The reason has to do with solar storms. On Sunday, an eruption on the sun's surface blasted plasma toward the Earth - helping to give millions of people a peek at something they'd never seen. Are You Fitter than an NFL Player? Washington Redskins and frisbee football is not a new concept. Knowing the fall season is just ahead, how would an Ultimate Frisbee player stack up against the NFL Lineman Fitness Test that Albert Haynesworthless has yet to pass? The conditioning test consists of 300 yards of sprints -- called a "shuttle" -- back and forth 25 yards* at a time. It has to be run twice, with only a 3.5-minute break in between. The short break demonstrates that the player can recover quickly. Linemen have to run the first shuttle in 70 seconds, the second one in 73 seconds. *Twenty five yards = length of an officially-sized end zone X 12; & then again 210 seconds later. The math alone is tiring, so is all that running too much for the average ulti player? Almost TWO more months until Sludge hits the sunny OBX beach! Foul smells and the appearance of brown sludge on beaches around Dublin Bay are the result of sunny weather and not sewage, Dublin local authorities have said. Residents in Dublin have in recent days reported sewage-like odours in the north and south bay areas, and stretching inland as far as Dundrum in south Dublin. Diggers have also been seen removing piles of foul-smelling, heavy brown sludge from Dollymount Strand on the north side of the bay. However, while the sludge has an appearance and smell similar to that of raw sewage, a spokesman for Dublin City Council said it was a naturally occurring algae which had overproduced because of the recent warm weather. "It's called ectocarpus. It's a naturally occurring algal bloom caused by high amounts of sunshine." “Don't cry because it's over. Rob's return journey to the west coast was successfully completed. How about Ultimate Disc, a fast-growing sport that has 4.9 million serious players in the U.S., and attracts international teams to the world championship (held most recently in Prague)? This is a real sport, with a complex set of rules – not simply a bunch of hippies throwing a Frisbee around the beach (though that’s how it originated). Like the Frisbee itself, the game originated in California, suggesting that it’s even more American than baseball (which was based on the British game of “base ball”, heaven forbid). It’s highly skilled, and requires real fitness. I’ve played baseball and I’ve played Ultimate, and I know which one I like best! It’s time this was taken seriously. 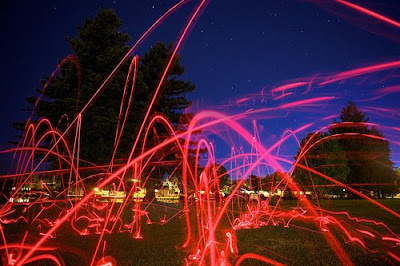 Nighttime flight of LED Frisbee w/ time elapse. Just over 3 months ago, Sludge's spring season concluded. The temps still yell summer, yet WAFC recently announced Fall league is around the corner. > Registration will open sometime around August 8th and close August 29th. > Games will start the weekend of September 11th with tournaments taking place in November.